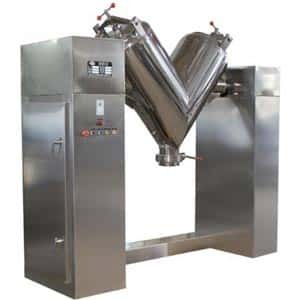 V Cone Blenders designed and manufactured to perform gentle and extremely vigorous mixing and blending of powder materials in pharmaceutical, chemical and cosmetic industries. 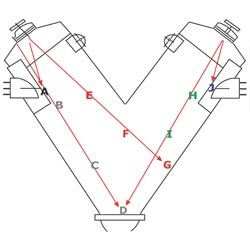 Also known as V shape Mixer, V Cone Blender is a machine equipped with two inclined cylinders (vessels or barrels) fixed together at an angle 70°C to 90°C to form a conical “V” shape. In the shell when rotates, materials are divided and then mixed together. 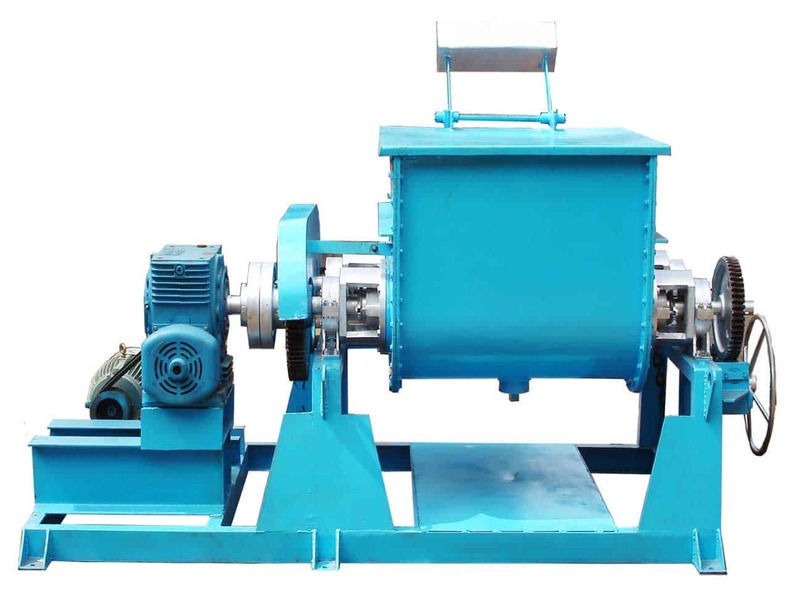 It is the most common type of tumbling blenders that offers short blending times and efficient blending. 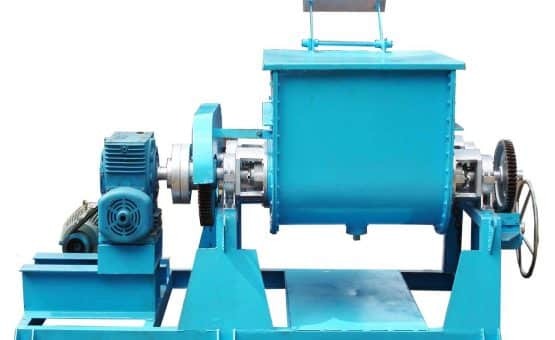 In order to achieve good mixing performance from a V Blender machine, it is advised to keep filling level up to 50% – 60% of total volume allowing particles to move in a set pattern. Keeping fill level under this percentage provides free space within cylinder during blending process and allows particles to follow a smooth passage, which ultimately minimizes time taken for homogeneous blending. 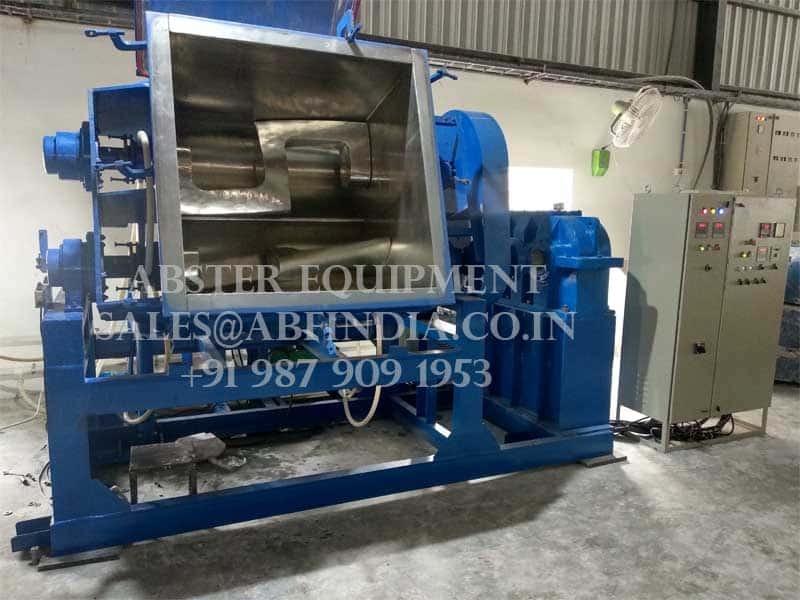 For mixing of minor ingredients or very fine granules that may form agglomerates while blending, an intensifier bar (beater or pin type) is optionally fitted to the machine. An intensifier bar has spray pipes for liquid addition. This intensifier bar also makes V Blender capable of: dry as well as wet mixing, mixing of fine as well as coarse particle compositions and mixing of cohesive powders. 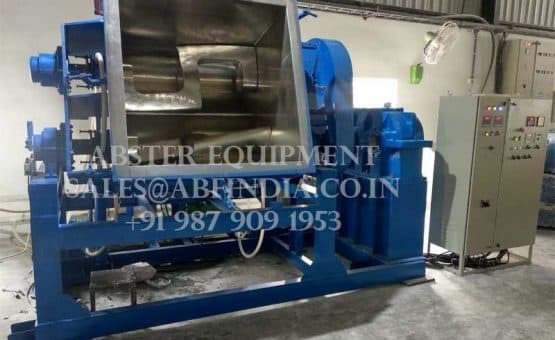 abster Equipment is a leading V Blender manufacturer in India and offers V Blending machines in different sizes, capacities and choices of optional accessories. 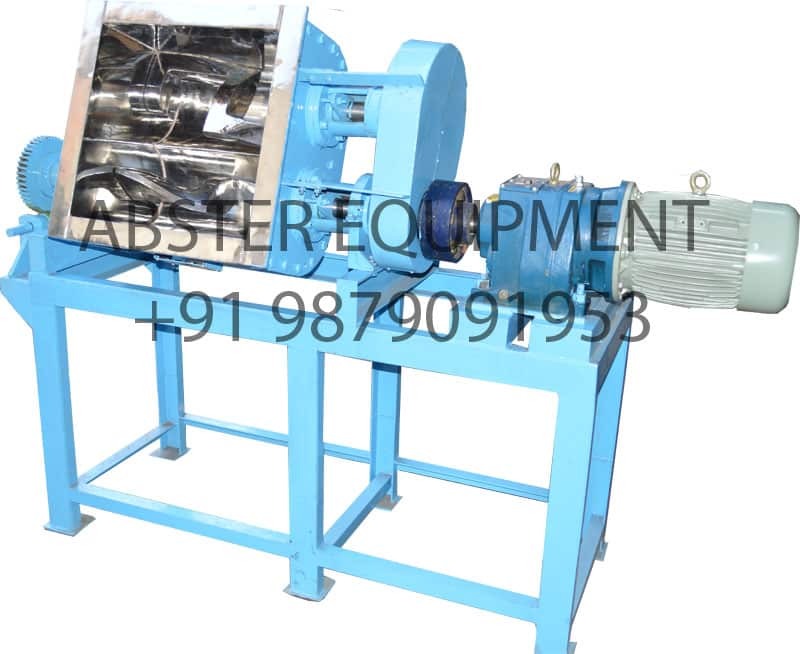 We sell these machines at factory price all over India and overseas. Our engineering team carefully designs a V Blender for both laboratory use and pharmaceutical production use. Each unit features clean design and adds value to product efficiency. We have standard models with 50 liters to 2000 liters volumes. 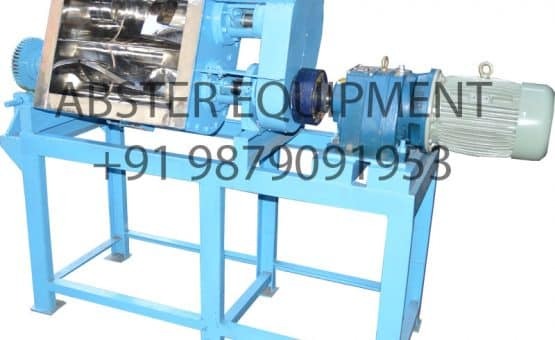 We can also custom engineer a V Blender to meet specific requirements of our clients. Each machine is manufactured to cGMP and FDA guidelines; therefore, perfect for pharmaceutical production use. Exterior and interior is made of high grade stainless steel. If you want V Blender in any particular shape, please discuss with our engineering team, we have experience and engineering capabilities to design the exact machine that meets or exceed your unique application requirements.